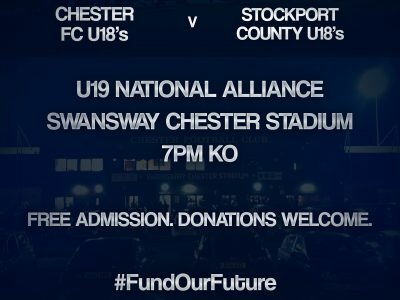 YOUTH | Blues under 18’s face Stockport at the Swansway on Wednesday 10th April! Chester FC’s Youth setup need YOU on Wednesday 10th April! 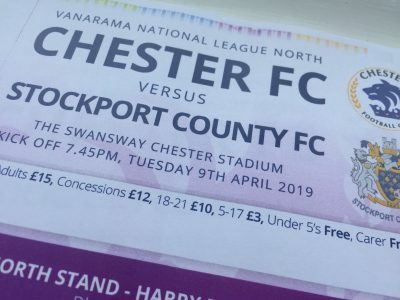 TICKETS | Stockport (h) tickets on sale to CFU members from tomorrow!